Zootopia hits theaters everywhere March 4th! I’m sure your kids are super excited like my son is about seeing this fun new movie filled with lots of great animals. Here are some free Zootopia printable coloring sheets and activities to tide your kids over until the movie hits theaters! 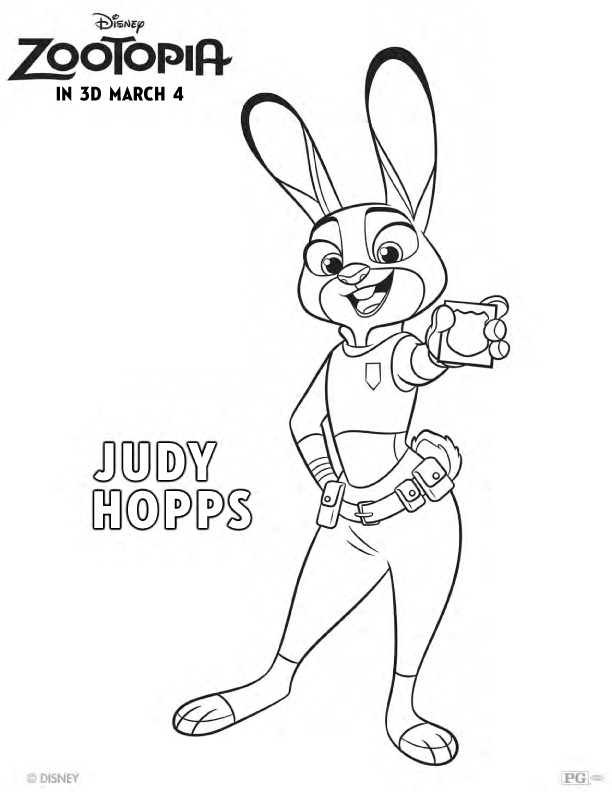 Zootopia Coloring Pages – 8 different characters to color! Click here to print and download all 8. 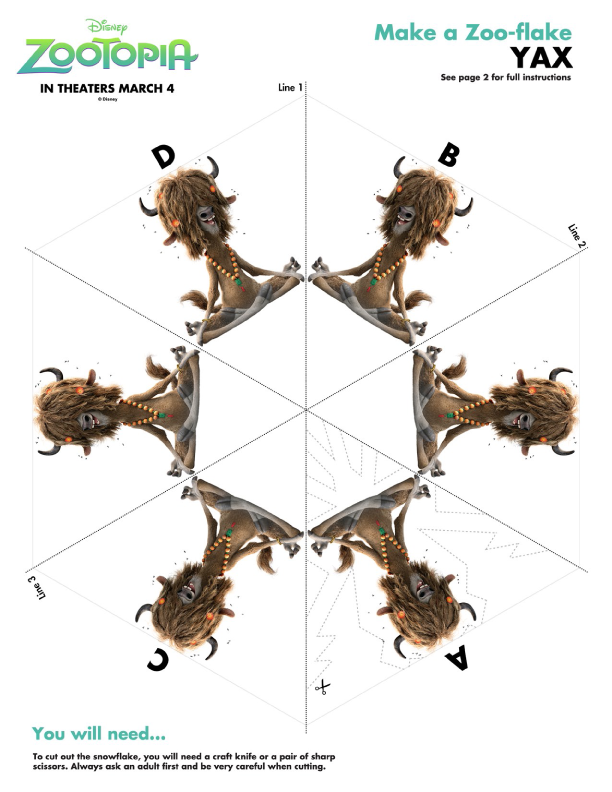 Grab some scissors and make some Zootopia inspired snowflakes… Zoo-flakes! Draw a line from each animal to his/her print. I can not wait to see this movie in local theaters. These coloring sheets are so cute. I was just telling my daughter we need to get my youngest granddaughter a coloring book. This is a neat way to put one together ourselves.